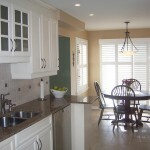 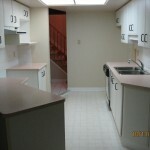 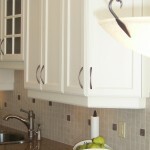 This 17 year old kitchen was completely rebuilt. 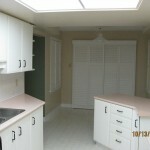 The ceiling was raised to accommodate much needed storage with higher cabinets and to add recessed lighting. 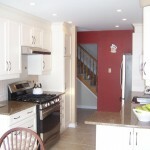 The porcelain tile was installed in the kitchen as well as in the adjoining hallway and powder room.